In John, chapter 9, we hear the story of when Jesus healed a man born blind, and how he was questioned by the Pharisees who would not believe. In the midst of this confrontation, the issue of discipleship is raised. One of the things often overlooked in the discussion of discipleship and Jesus’ great commission to “make disciples of all nations…” (Matt 28:19) is the question of whose disciples we are talking about. There are many teachers and many guides that people look to, learn from, and follow. For example, Scripture itself speaks not only of the disciples of Moses, but also the disciples of the Pharisees and the disciples of John the Baptist, in contrast to the disciples of Jesus (e.g. Mark 2:18). Simply put, to refer to someone as a “disciple” does not necessarily mean that person is a believer or follower of Christ. The Pharisees in the verses above made it clear that they understood themselves to be disciples. They were, in fact, dedicated students who sought to follow the teachings of the Law and the tradition of the scribes. But they had no interest in becoming followers of Jesus. The Pharisees recognized that there was a difference between them and this man who had been healed of his blindness. They said, “You are his disciple, but we are disciples of Moses.” And in this observation, they were right. The man who had formerly been blind was not set apart by his obedience to the law, by his moralistic lifestyle, nor by his proficiency in spiritual disciplines. Rather, this man was set apart in his knowledge and trust in what Jesus had done for him. He had been the recipient of God’s grace through Jesus Christ. In the same way, this story gives us a glimpse into how our Christian discipleship is different from discipleship in general. As followers of Christ, we look not to ourselves and our lives as the measure of our faith – we look to our Master and Lord, Jesus Christ, as the one who determines our identity. And just as the man in the story still had much to learn about Jesus, our lives of discipleship are shaped by the continuing revelation of what Christ has done – and is doing – each day of our lives. In this article series over the past year, we have been looking at the subject of Discipleship through the specific lens of a sacramental Lutheran perspective, in the belief that our faith tradition has important contributions to make to the larger conversation about Christian discipleship that is happening in the Church today. In particular, the Lutheran emphases on the believer as “simultaneously saint and sinner,” the recognition that God chooses to work through natural means, and the importance of proclaiming Christ’s forgiveness in everyday life, are key to this perspective. In other words, we are simply asking the question of what it would look like if the faith and logic of the sacraments were applied to our life as disciples of Jesus. It is not the eating and drinking alone, but also the words that accompany it, “Given and shed for you for the forgiveness of sins.” These words, together with the eating and drinking, are the chief thing in the Sacrament, and those who believe them have what they say and declare, namely, the forgiveness of sins. In this short passage, Luther says a lot about how we understand the way in which God works in our lives. First he makes it clear that works alone (in this case, eating and drinking) do not have saving power by themselves. It is not because we engage in outward acts of piety or worship that we earn or merit God’s grace. That happens by faith alone, through the power of the Holy Spirit at work in God’s Word. Our faith rests in the “chief thing” – that is, in the promise of Christ himself. At the same time, Luther shows how the promise of Christ is communicated through real things – simple human words and actions that God uses as means to create faith in us and through us. Seen in the proper order and direction, we understand that our human works are not the means by which we obtain God’s grace and mercy, but the means by which we give these gifts to others. As Luther once observed, “God does not need our good works; but our neighbor does!” By its very nature, faithful discipleship is not a self-directed effort, but always points outward. To apply this same sacramental principle to Discipleship is to see our lives of faith not as an effort to attain some status for ourselves, but rather as a means of grace by which Christ is brought into the lives of others. This is why “discipleship” and “making disciples” go together. It is also why person-to-person relationships are so important to sharing the faith. Because God himself works through us — in the works we do, the words we say, the effort we exert, and all the disciplines by which we live in Christ — we serve as his instruments in bringing the Gospel to all the world… including the little world in which we live our daily lives. Yet, unfortunately, there is something in us as human beings that wants to measure. As sinners, born under the law, we suffer from a persistent need to know how well we are doing. We want to measure our progress and gauge our success, even in spiritual matters. This is especially true in relation to others. Like the Pharisee in the temple who prayed, “God, I thank you that I am not like other men …” (Luke 18:11), it is easy for us to fall for the appealing lure of human merit, taking pride in the advances we have made in faith and the accomplishments we have achieved in our lives as Christians. In the Church today, you see this phenomena in many discussions of Christian Discipleship. Too often, talk of discipleship centers around our progress in disciplines — all of which may be very good things. Do I pray more than I used to? How am I keeping up with daily reading of Scripture? Have I demonstrated a witness that lets others know I am a Christian? Of course, all these ways we practice the faith are essential to discipleship. But are they really a “measure” of discipleship? When Jesus told the parable of the mustard seed in Luke 13:18-19, he spoke of the smallest of seeds which would one day become the largest of shrubs. Yet, he makes no mention of personal progress. Nowhere is the mustard plant encouraged to measure itself, as if its growth were a personal achievement. Rather, the parable conveys the promise of a God who gives the growth. What if it were true, as Scripture says it is, that our life of faith is “not our own doing; it is the gift of God”? What if this grace that God bestows is truly something that we cannot measure? What would that look like in our lives as Christians? When is comes to Discipleship, how might we talk about our lives as followers of Christ, not in terms of personal achievement and spiritual progress, but in terms of the promise and faithfulness of God? Perhaps it is in only giving up our desire to “measure” our faith as disciples that we truly get to experience “the immeasurable riches of his grace in kindness toward us in Christ Jesus” (Ephesians 2:7). For many Christians today, it is a sad fact that Baptism has little or no meaning for daily living in faith. Even for those who talk much about Baptism, or include reference to it in much of their religious language, Baptism seems to have little practical connection to the life of discipleship – at least, not in the way that Luther describes it above. For example, in the traditional liturgy for weekly worship, one of the places in the service where “death to self and rising to new life” was more clearly proclaimed was in the Order for Confession and Forgiveness. But for many, even this was considered an “optional” part of their regular encounter with God. In some recent hymnals, an alternative to confession and absolution has been provided in what is called a rite of Thanksgiving for Baptism. The congregation is led to praise God for the “gifts of Baptism” and being “clothed with mercy and forgiveness”* — without any reference to sin and without mentioning any reason for which we, as individuals, are in need of God’s mercy and forgiveness. Baptism is treated as little more than a stamp in one’s heavenly passport, a past event that has nothing to do with the daily struggle against sin. On the other extreme, many among the churches of evangelical Protestantism tend to dismiss the Sacraments altogether. Treated as little more than quaint human ceremonies where God is merely a spectator, the Sacraments are not seen as having any real meaning for one’s personal life of discipleship on a day to day basis. Luther taught something quite different from either of these views. He understood from the Scriptures that the Sacraments are means through which God acts in our lives – not just on a one-time basis, as a past event, but as a divine Word which invades our lives, on a day-by-day, hour-by-hour, and minute-by-minute basis. The promise of Baptism, and its meaning for our everyday lives, is more than simply getting the title of disciple, but doing the job of a disciple. Baptism is more than just an event we recall from our past, it actually means something in our present day life of faith. Baptism means that God is at work putting us to death each day through repentance and lifting us up again by his grace, so that we may truly die to sin and live to Christ alone (Romans 6). It is in this way and for this reason that God himself “disciples us” daily through our Baptism in the name of the Father, Son, and Holy Spirit (Matthew 28) and teaches us to actually engage in a life of discipleship, led by his Word. When we hear the phrase “daily devotions,” one of the first things that we may think of are those little devotional booklets that many of us use on a daily basis. Most of these follow a similar pattern, with a quotation from Scripture followed by a brief homiletic reflection, then closing with a prayer. Such resources can serve a good purpose, and are readily available. We are used to such a pattern. Ironically, when Martin Luther gave his advice on developing a biblical life of prayer, he did not use this familiar format. You might even say that he turned things completely around. In his Preface to the Wittenberg Edition of Luther’s German Writings (1539), Luther provided a simple format for approaching Scripture that reverses the familiar pattern we are used to. Luther described his own three-fold approach. In Latin, the terms he used were Oratio (praying), Meditatio (listening), and Tentatio (struggling). For Luther, prayer was not an end, but the foundational place where our devotional life begins. As disciples, we call upon God to be the speaker. We ask him to open our ears, hearts, and minds to his Word. We begin by praying that “the Spirit himself would intercede for us,” as Scripture says, that what will follow would be God’s doing in us. Only then do we approach the biblical text. For Luther, to “meditate” on the text was not simply to learn about the text, as we might do in a Bible Study group. Neither is “meditation” simply what it is in eastern religions, where people center on their own inner mindfulness. Rather, for Luther, biblical meditation has to do with listening carefully to the words of Scripture, in the confidence that God is actually speaking to us. Lastly, Luther described the final step: Tentatio. This word is a tough one to translate. It means to “struggle” or “wrestle with”– it can even be translated as “suffering.” Luther assumed that if God indeed is at work on us through his Word, such an experience will not necessarily be pleasant. Like a mighty Potter working raw clay, God pokes and prods us through his Word, squeezing and shaping us into the vessel of faith that he would have us be. We should expect this process to elicit “groanings” from us, just as Scripture promises. It is this final piece that is Luther’s greatest insight into what a life of daily devotion is like, and it is central to our understanding of what makes discipleship “sacramental.” This is what Luther meant by “daily dying and rising in Christ” – to experience the crushing grasp of the law while at the same time being reformed and renewed by the gospel. This how God himself justifies and sanctifies each one of us in faith and makes us his disciples. The Tower of Babel story from the Book of Genesis always reminds me of my attempts as a child to build the highest skyscraper I could, using Lego building bricks. No matter how high the tower, inevitably, it would come crashing down. Fortunately, I never believed that my value and purpose in the eyes of God depended on how high a tower I could build. When some people talk about Christian discipleship, however, it is that same tower that comes to mind. By many, the life of discipleship is understood to be a matter of adding spiritual disciplines, one upon another, in an attempt to build our own towers of faith – and thereby, “making a name for ourselves” in the eyes of God and our neighbors. But in the Scriptures, Jesus breaks this “builder” paradigm and brings us back down to earth. Discipleship, in a biblical sense, is not about working our way up to God, but recognizing that God, in Christ, has come down to us. The direction is not up, but down. In Lego terms, real discipleship is when the Father comes to sit down on the floor filled with blocks, to build for his children. He invites us to participate in his project, rather than simply to play on our own. His work is collaborative, with each member of the body being added to his creation as a new brick. As Scripture says, “You yourselves like living stones are being built up as a spiritual house, to be a holy priesthood, to offer spiritual sacrifices acceptable to God through Jesus Christ” (1 Peter 2:5). Instead of towers, God builds us into vehicles – things that move – because his goal is to get us moving by faith! We are a “holy priesthood” as Scripture says. We become the cars and planes and boats that carry the promise of Christ and his forgiveness to suffering and hurting people, the very “vehicles” through which God acts in the lives of others. Ironically, God often does his best work in the “scattering” rather than the “building.” He leads us out into the world in service to our neighbor – not to make a name for ourselves, but to give glory to His name. Through our acts of faith and service, we build no towers. But we do get to take part in delivering His promise to a world in need of the Gospel. You know the story. When Jesus came to visit the house of two sisters, Mary sat at the feet of Jesus and listened to his teaching, while Martha kept busy with her ministry to the needs of those who had come to her. Overwhelmed by the good things she was trying to accomplish, Martha went to Jesus to admonish her sister for not helping with the work – that is, she came to complain that Mary was not more like her. Sometimes, in trying to convince people of the importance of discipleship in the Christian life, we can start to sound a lot like Martha. It is not uncommon these days to hear discipleship coaches draw a distinction between those who are “real disciples” with those who are just “church members.” We are told that we must grow beyond the old membership model of church, where people are mere receivers of ministry, to a discipleship model where people are providers of ministry. This change in mindset, we are told, is what will save the church. But when asked to provide a picture of what this “real” discipleship looks like, it is often someone like Martha who is held up as the model. Contrary to what Jesus does in Scripture, the approach of most modern discipleship gurus is to provide a list of activities and good works for people to be engaged in to show that they have advanced to the level of true disciple. In some settings, this takes the form of being busy with the work of social justice, where Christians are encouraged to move beyond elemental matters of sin and salvation, to engage in the “real” discipleship work of political advocacy. In other settings, the good works are expressed in a more religious manner, as would-be Marthas seek to prove their faith by their standing and reputation in the local congregation. The biblical definition of faith, however, centers in the Lord himself. Jesus lifts up Mary as the model of discipleship, not because of her good and religious works, but because of what the Lord himself was accomplishing in her through his Word. Indeed, “Faith comes by hearing, and what is heard comes through the Word of Christ” (Romans 10:17). The posture of faith is not simply one of mere busy-ness and activity, but a posture of receiving. As human beings, our tendency is to always put ourselves at the center of our focus – even when it comes to our life of faith. It is not surprising that we would want to make discipleship about what we do, rather than about what God does in us. But Christ himself has chosen a better portion for us. Through his Word, he has filled us with his Holy Spirit, so that we can confess in the words of Scripture, “I have been crucified with Christ. It is no longer I who live, but Christ who lives in me.” (Galatians 2:20) This is the good portion, which will not be taken from us. Just as he did to those fishermen by the Sea of Galilee, Jesus calls us to be his disciples, and to make disciples in his name. But what does that mean? The truth is, a person’s understanding of discipleship is based on their understanding of faith itself. For example, among many modern evangelical churches that come from the Anabaptist tradition, the emphasis in religious doctrine and practice is on what we do for God. God is the passive auditor, watching what we do in worship for Him. In this view, the meaning of a person’s actions — and the sincerity in which they perform them — is the key to true spiritual meaning. This same assumption underlies how they speak of discipleship, which is why, most of what is written on the theme of discipleship from this faith tradition are what might be described as spiritual “self-improvement” books. But just as Lutherans believe that the value and meaning of the Word and Sacraments rests not in our own actions but in the divine action of God on our behalf, you would think that this God-centered understanding of faith ought to guide our understanding of discipleship, as well. We confess, for example, the power of Baptism lies not in our spiritual sincerity, but rather, in the sure and certain Word of God. What if we were to think of discipleship in a similar manner? What if discipleship were not simply a means of spiritual-improvement, but the recognition of God’s active will being fulfilled in us by his power and Spirit? This is the very thing we see in Scripture. Jesus’ call to his first disciples by the Sea of Galilee was not simply an invitation for these men to engage in the work of personal self-improvement. It was the act of God himself, by which Christ took hold of their lives and created a new future for this handful of hapless fishermen. Christ himself “made disciples” that day, through his own Word and work of faith. The key to the meaning of their discipleship was that God’s will was, indeed, done among them — that day and in the many days that followed. We pray that the same may be true among us. Not long ago, I remember sitting in the lobby of the health club I belonged to, randomly picking up and paging through a magazine on martial arts. Having no experience in the sport myself, I was interested to read how the author described his experience of having become a master of a particular school of martial arts. He talked about how the modern view of martial arts as a “sport” was not what it once was, when it used to be taught by masters of a specific discipline. Unique historical styles and methods ― like those of Karate, Jujitsu, Kung Fu, or Tae Kwon Do, which practitioners spent their lives studying and mastering ― are now often jumbled together in the generic instruction of self-defense, taught at the “hobby” level. Almost gone, he said, were the days of masters and disciples, working within a specific set of teachings in a particular school of martial arts. Reading this article made me think of my own experience as a pastor, teaching the Christian faith from a specific historical tradition ― in my case, the perspective of a biblical and confessional Lutheran. I began to wonder if something isn’t lost among us in our modern day, when so many seem satisfied with being generic disciples of a generic religious faith. In the New Testament, “disciples” were followers and students of their Lord, Jesus Christ, whose faith was shaped by Him, as they lived out this faith in their everyday lives of trust and obedience to Christ himself. From their master, the first biblical disciples were given more than a list of tasks to perform. Christ opened up for them a whole new way of life ― including a new understanding of their place, purpose, and mission in the world which flowed from specific theological convictions their Lord had given them. Recently, there has been renewed interest in the Church in the area of Discipleship, and what that means for our lives as modern-day Christians. This is a good thing to talk about. But much is said these days about the importance of “discipleship” and “making disciples” without really defining what it means for us to be genuine disciples in our own individual lives of faith. Often “discipleship” seems to be treated as something that needs to be added on to the foundation of our faith, rather than speaking of discipleship as living out the faith that we have already been given. Is discipleship nothing more than a generic program that can be inserted into a person’s life of faith ― like a preprogrammed computer app, compatible with any operating system? Or is there a specific content, shape, or goal to our lives as disciples of Christ that flows from the particular faith we confess? Following our Lord Jesus challenges us to ask not simply whether we are disciples, but what manner of disciples we will be. 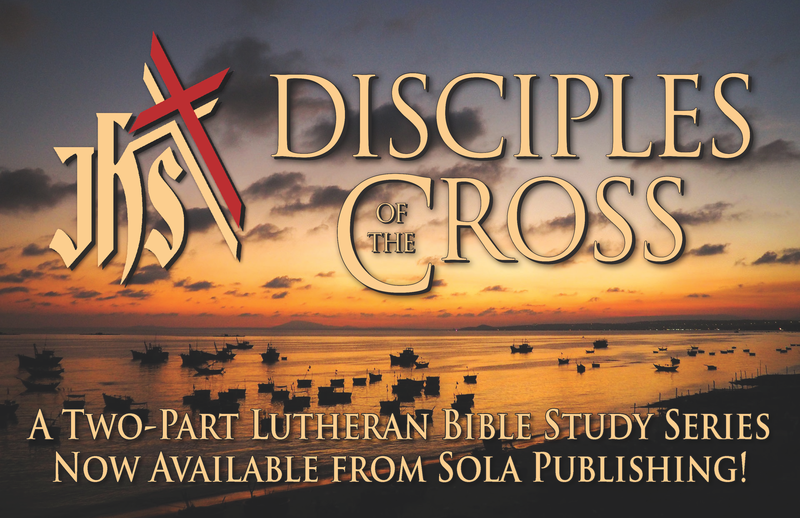 To use Martin Luther’s categories: Will we be disciples who seek a vain and worldly “Theology of Glory,” or will we follow our Master as disciples who hold to a biblical “Theology of the Cross”? This is the question we hope to address in this new regular column in Connections magazine. Beginning with this issue and continuing into the future, this series will seek to look at the nature of Christian discipleship through Lutheran lenses. What would it look like for us to speak of discipleship in a way that is informed and shaped ― from the ground up ― by the specific convictions and perspective of Lutheran theology? What unique gifts and insights from our faith tradition can be brought to bear on the mission we share with all our Christian brothers and sisters? How might our historical Lutheran theological confessions reveal a unique perspective on how we live a life of faith in Christ? Our goal will be to provide a basis and framework for discussing the theme of discipleship in ways that reflect our Lutheran faith and heritage.  For example, the series title for the column, “Sacramental Discipleship” is intended to call to mind what we Lutherans recognize as the true direction of salvation in our lives ― from God to us ― and how God uses earthly means of grace to accomplish his will and communicate his Word in our lives. We believe that God is the actor in our faith, and that by the power of his own Holy Spirit, the Lord himself produces the fruit of faith in us. What does all this mean for daily living? It means that our sinful self, with all its evil deeds and desires, should be drowned through daily repentance, and that day after day a new self should arise to live with God in righteousness and purity forever. As disciples of the cross, we follow our Lord in a life of daily dying and rising, trusting in his Word alone as the way in which God creates and reveals faith. Daily discipleship is not a method by which we attain a righteousness of our own, but rather, being a disciple of Christ means that we give testimony to His righteousness and what He is able to accomplish in us (Philippians 3:9). Through this down-to-earth faith in Christ, we recognize that our lives serve as a kind of “means” by which God accomplishes his will in the world. God uses us as his earthly instruments to serve our neighbors in love and carry his saving message of the gospel to others, as we live out our faith as disciples of our Master, Jesus Christ.